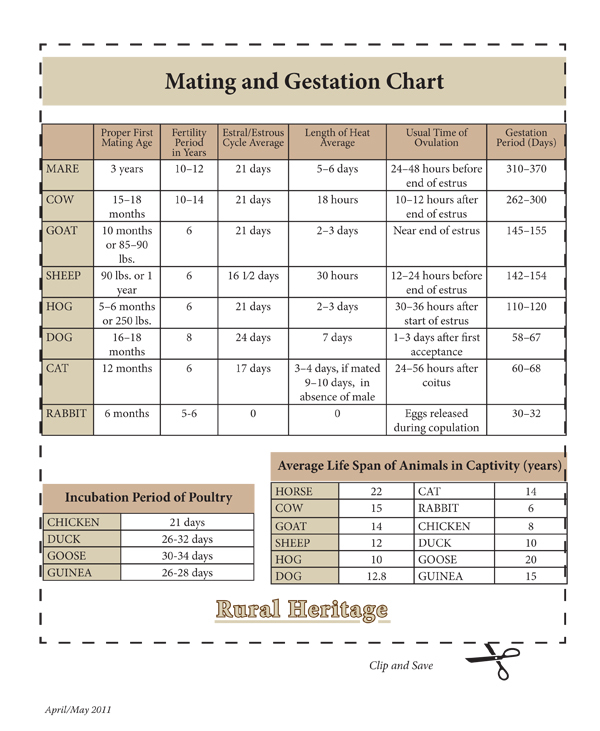 Above: Mating and gestation chart for various domestic animals. This chart was originally featured in the April/May 2011 issue of Rural Heritage magazine. Back issues may be purchased at www.mischka.com/shop.